Imagine a huge screen reaching far into the African night sky. A Hollywood movie is being shown. In front of the screen an audience of thousands. This is not a modern drive-in theatre. It is a refugee camp. One of many. And what is projected onto the screen is not merely a film but hope. Hope for thousands of displaced people in Kenya. The idea for these screenings started in 1999 during the war in Kosovo and FilmAid was founded. And it has expanded since: schools in Los Angeles, Oakland, Chicago, London, South Africa and Morocco. Refugee camps in Kenya, Myanmar, Thailand, and Jordan. These are the places that greatly benefit from the HFPA grants. Said Keefe Murren, FilmAid International Executive Director, “HFPA’s support of FilmAid’s work is absolutely critical to ensure that refugee youth have the skills and confidence they need to tell their own stories, and advocate for themselves and their communities." FilmAid’s programs offer hope through the simple joy of the movies and the creative outlet of self-expression. Their Media Arts Training, Community Outreach, and Skills Development are designed to build the capacity of refugee communities to tell their own stories, speak on behalf of their own communities, and find relief from the trauma, isolation, idleness, and despair that people suffer when forced to flee their homes. FilmAid workshops, Mobile Cinema screenings, radio broadcasts, and cultural events provide refugees with opportunities to build strong community ties among the various ethnic groups who have fled conflict and natural disaster and the host communities who generously provide them with safety and security. 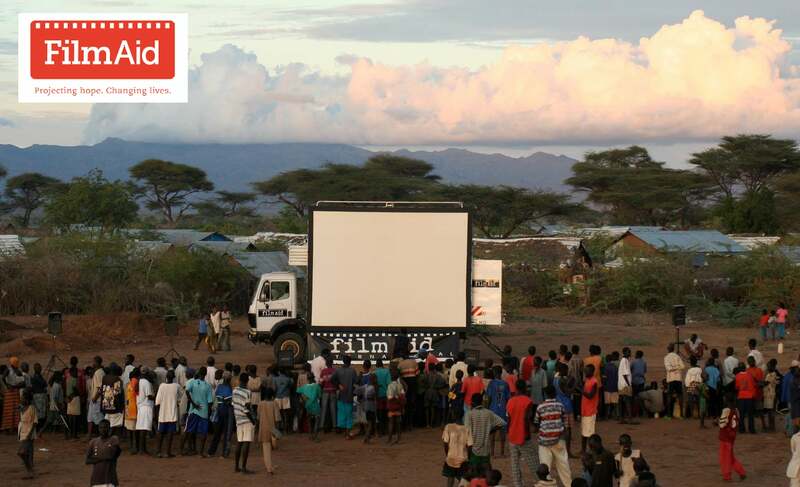 FilmAid also organizes an annual Film Festival in Kenya’s two large refugee camps in Kakuma and Dadaab as well as Nairobi, where the works of the FilmAid students are showcased along with a selection of international films.